Panther is a general term applied to big cats. There are leopards in Africa and Asia that have black coats, just as there are jaguars in the Americas with black coats as well. Some people are overzealous in their desire to let people know that so-called black people are also indigenous to the Americas. 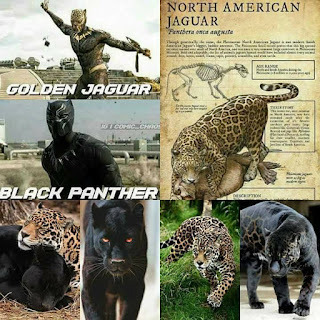 Just to clarify this, black panthers do exist in Africa as well as in the Americas! That claim is bogus! There are groups such as #AfricanAmericansAintAfrican that spend a lot of time attacking everything African. They go so far in distancing themselves from everything "African" that much of their efforts, including their videos, podcasts, and various memes, have become corny. If you are able to sift through the corny b.s. 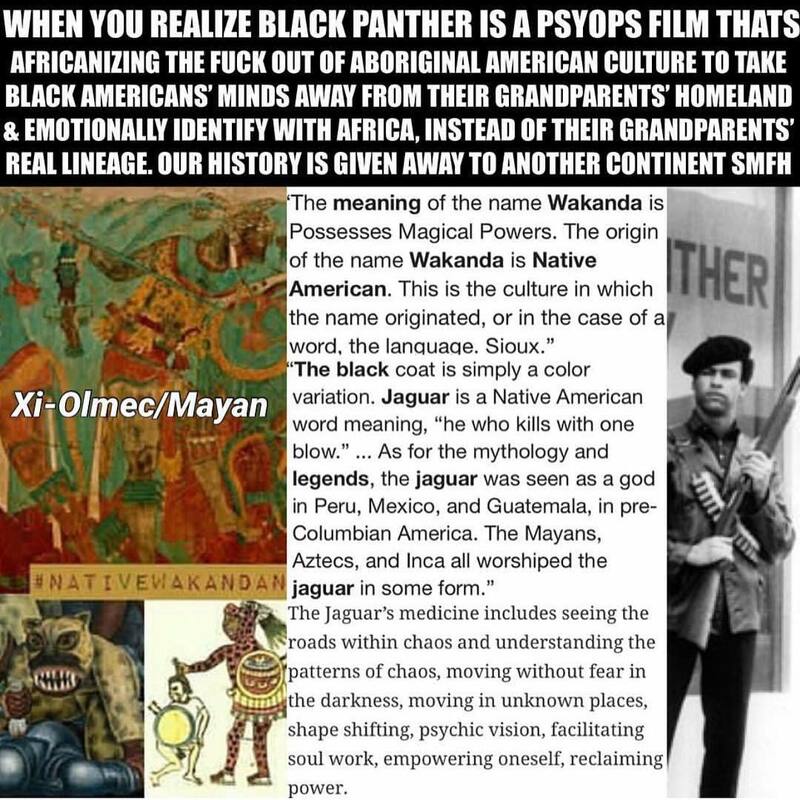 you will see that there is some truth to the complaints that the Black Panther movie is being used as propaganda to keep us confused and under the spell or hypnosis of thinking that we are African Americans. 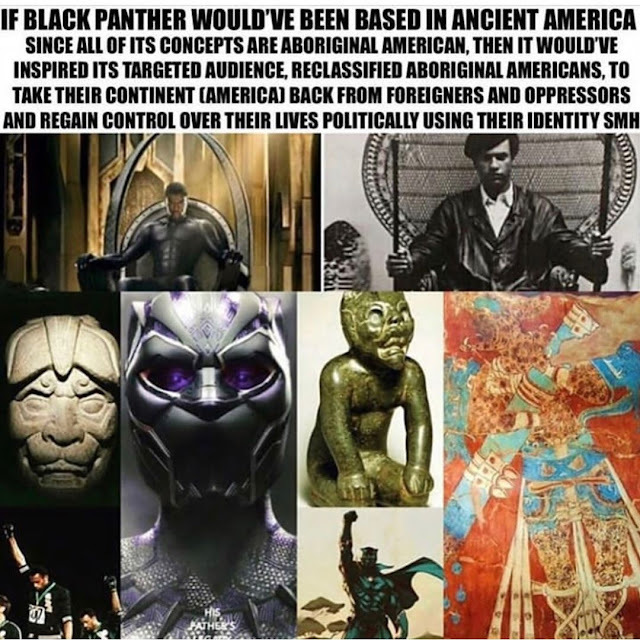 I am not saying this is the case with the film, just pointing out that its obvious that the film is based on the culture - past and present, of so-called African Americans. 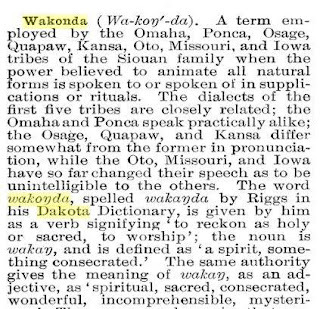 Something that I do find intriguing with all of the information floating around on the internet is the amount of evidence showing that the actual word "wakanda" had special meaning within the Native American culture in North America. 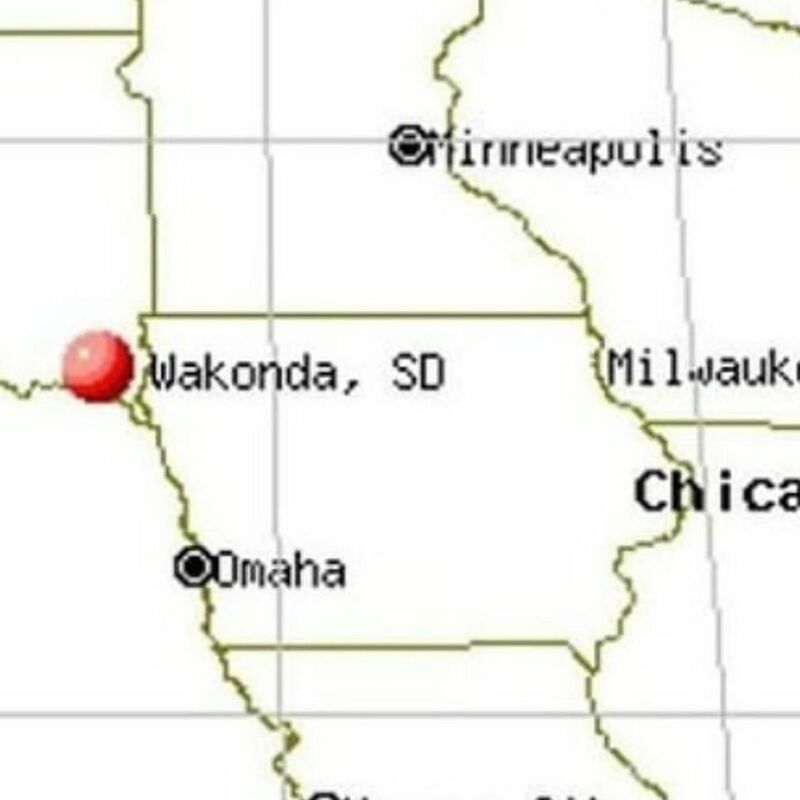 There are several places named Wakanda or Wakonda in the U.S. including Wakanda Park, which has pre-historic Indian mounds. 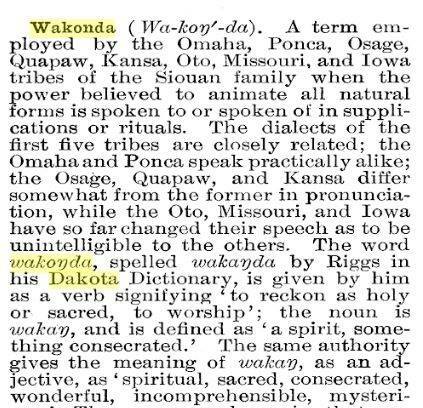 The Great Plains Indians, including the Omaha, used the word "wakanda" to signify someone or something possessing magical powers in their language. Let's put this in the proper perspective for a second. 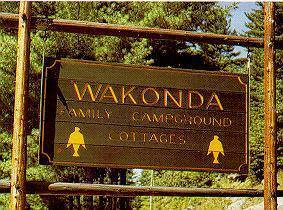 Wakanda was a word in the Dakota and Omaha language which signified someone or something possessing magical powers. 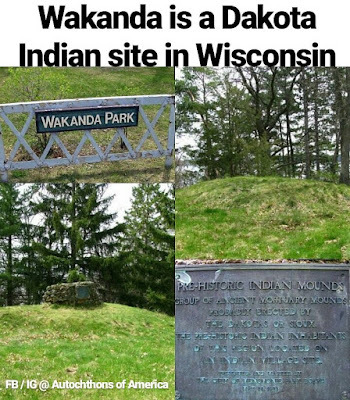 Wakanda is also the name of the site of some of the world's oldest pyramids (they refer to them as mounds in conventional archeology) right in the middle of Wisconsin. 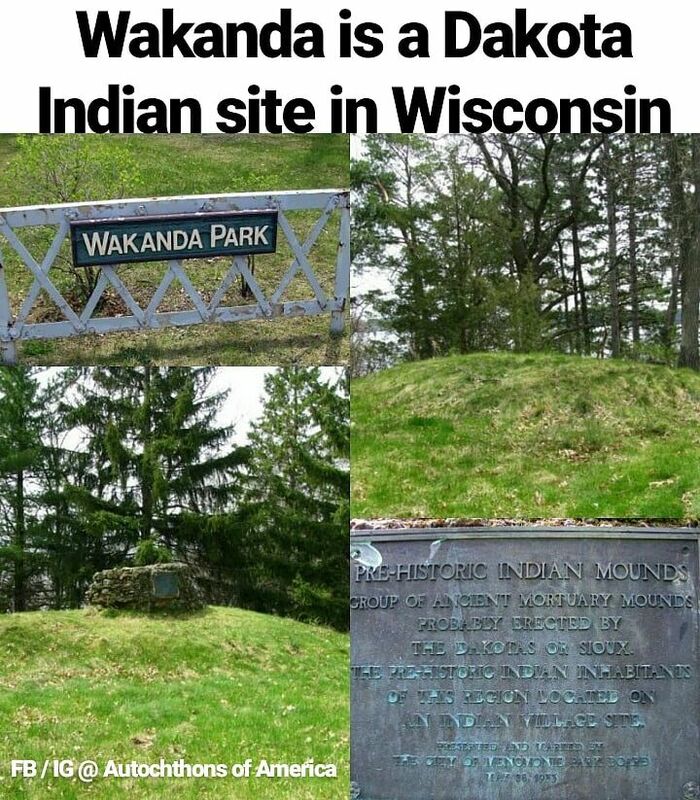 The Wakanda Park site in Wisconsin is the location of an ancient American city complete with several pyramids. It was conveniently flooded. The Red Cedar River was flooded to create Lake Menomin. 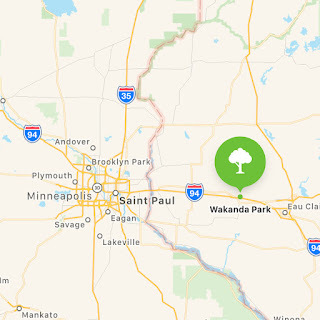 All that is left now is the Wakanda Water Park on the site of the parkgrounds and the man-made lake. They say that fourteen of the seventeen mounds have been excavated by archeologist. All across the United States there are ancient artifacts and cities that were flooded by the Army corps engineers to cover up the pyramids and other temples that lay buried. Man-made lakes and golf courses are used to cover up many of our ancient artifacts and temples. 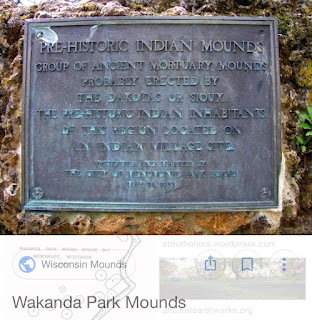 Located in Wakanda Park in Menomonie on the shores of Lake Menomin, this group is what's left of once large cluster of mounds that were submerged when Lake Menomin was created by damming Red Cedar River. Out of seventeen submerged mounds, fourteen were excavated by archeologists. Some of the mounds contained burials, including an individual wearing clay mask - the feature found in only two other mound sites in Wisconsin. 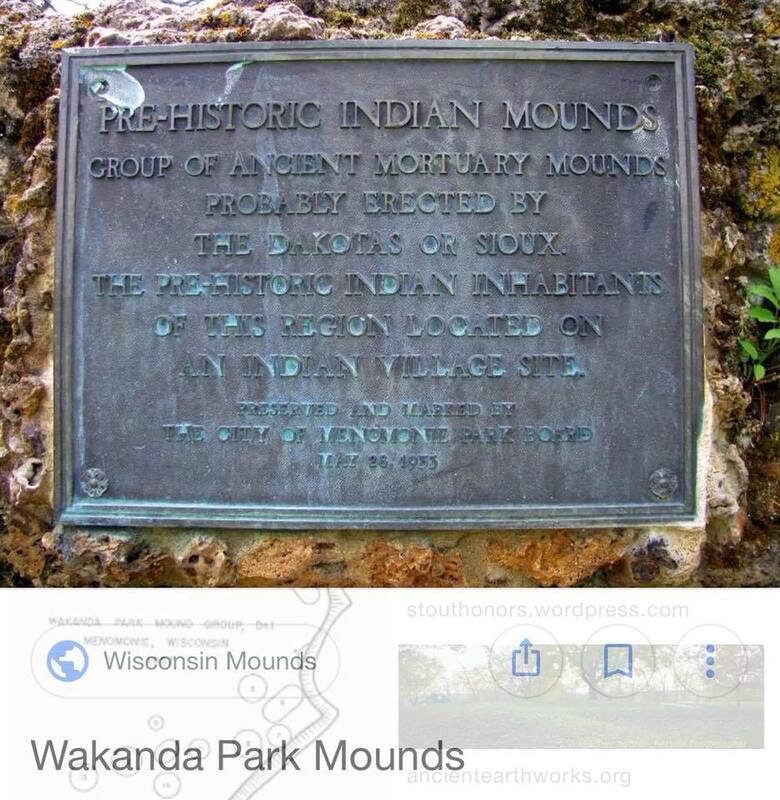 By different accounts, either three or four mounds are still extant in the park, all supposed to be ovals. I found two definite mounds in decent condition, unmowed and away from pedestrian traffic at the dead end on the ridge overlooking the lake. Nearby, there was a raise in the ground that might have been third mound, but it's pretty low and mowed with the rest of the disc golf course on which it's located. Approved by the Subconscious Community. At this point, I think that it would be foolish to continue to assert that all of these things are coincidences. Let's be 100 percent real. If you pay attention to Marvel and in particular, the work of Stan Lee, some of his biggest storylines such as the X-Men borrowed heavily from the Civil Rights Movement. The entire struggle and prejudice that the mutants face in the X Men story parallels what so-called African Americans experience in the United States. Stan Lee has admitted as much, even alluding to the obvious parallel between the dynamics of Professor X/Magneto and Malcolm X/MLK in several interviews. "The X-Men — a team made up of mutants who endured terrible racism (speciesism?) 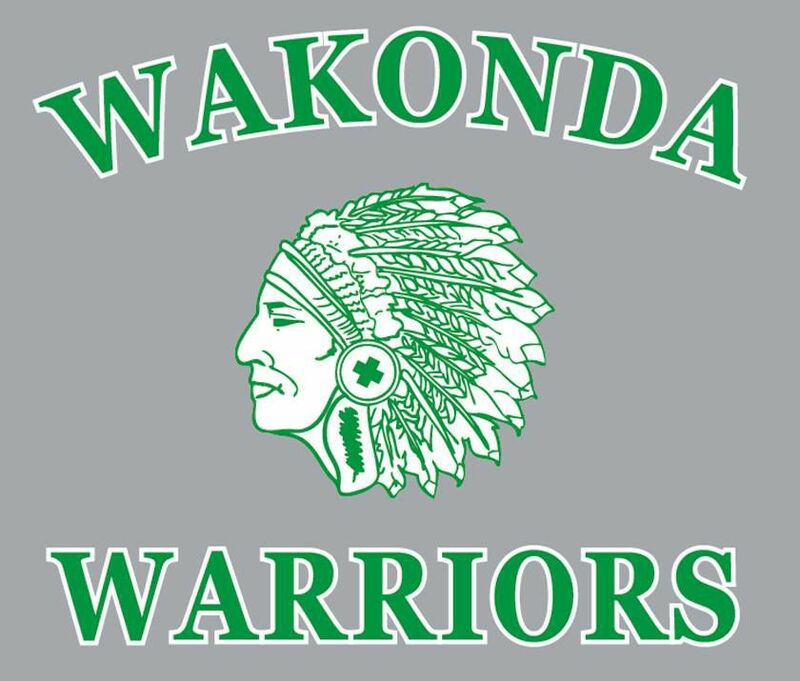 — were inspired by the civil rights movement, including the philosophical dichotomy of Martin Luther King Jr. and Malcolm X influencing pacifist Professor X and militant Holocaust survivor Magneto." The X-Men aren't the only ones who's storyline paralleled what so-called African Americans were experiencing in the United States. 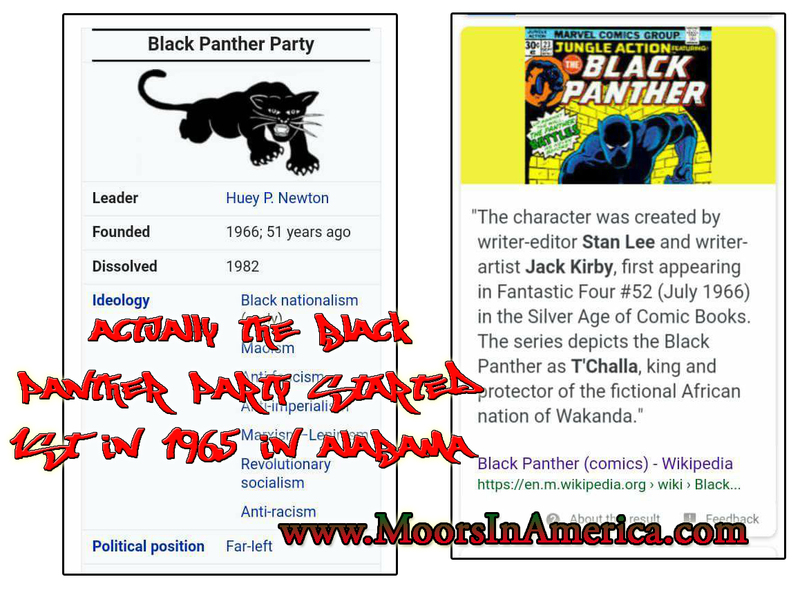 Even though most account attribute the origin of the the Black Panther Party to Huey P. Newton and Bobby Seale in Oakland 1966, the party actually emerged from student-led efforts for political empowerment of in Jim Crow Alabama in 1965, one year before the Black Panther comic debuted. SNCC leader activist Stokely Carmichael (Kwame Toure) helped to adopt the black panther as the symbol for courage and black power against white oppression. Carmichael worked to organize a voter registration project in Lowndes County, Alabama, pointing out the hypocrisy of having no black mayors or lawmakers in a district with an 80% black population. Carmichael's call for Black Power captivated both Newton and Seale, who later adapted the image and some of Carmichael's views for the Black Panther Party they formed in Oakland in 1966. "Lee and Jack Kirby actually created Black Panther a few months before the Black Panther Party was founded, but the same social changes inspired both the political movement and the super-powered African king of the fictional nation of Wakanda." It is without doubt that Stan Lee and Jack Kirby were also inspired by the actions of Carmichael, who had become quite well-known for his soundbites, in which he boldly proclaimed that he planned on taking over Lowndes County, Alabama. 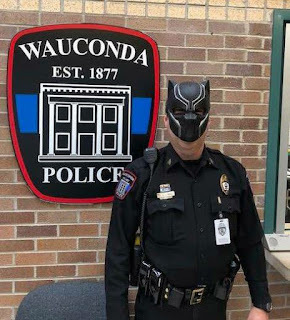 "What If I Told You Wakanda Was a "Black" Nation in Pre-Columbus America?" The question above was posted by one of my friends on Facebook or Instagram in reference to the various aspects of the Black Panther movie which point not only to the culture and recent history of the so-called African American, but also plot aspects which hint at our own aboriginal American origin. Here are a few different takes on the film and how it relates to us that I would like to share before going into my own take on the film. Ok so I wanted to start off First by saying I thought it was thoughtful of Follywood to release The Black Panther on so called Black History month no pun intended🤔 Being that in 1965 The Black Panther or Cat was used as a symbol for illiterate blacks in the Jim crow South to know who to vote for despite efforts of white supremacy to stop the Poor Blacks from voting. The Students of the SNCC came up with the Idea lead by our own Stokley Carmichael (Kwame Toure). And of course the Idea was picked up and commercialized into the comic book of today's topic. 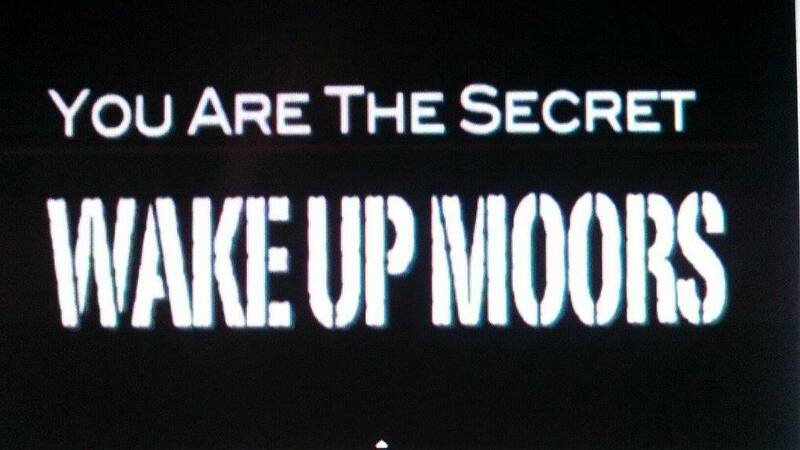 The Old Black Magic of Thee Indigenous inhabitant of this planet that has always been apart of our culture. 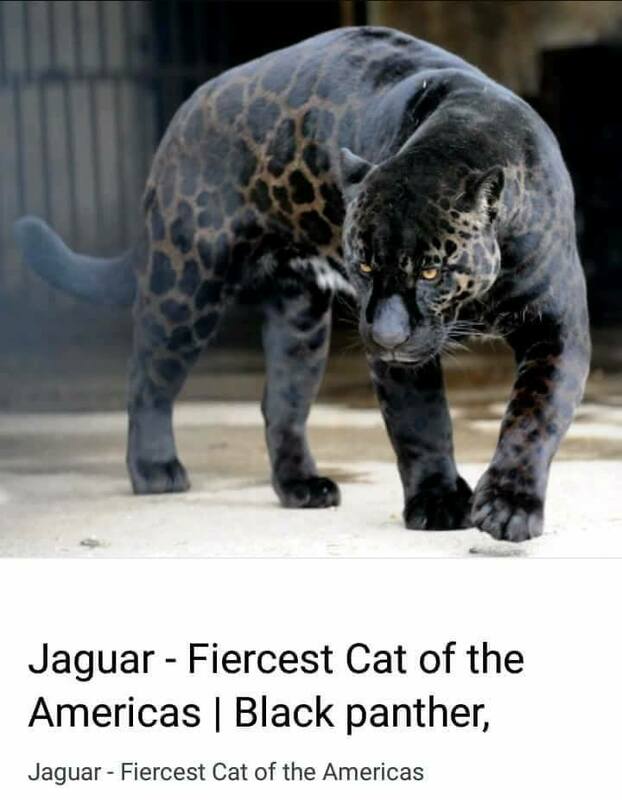 The Olmecs the Original peoples of America were know as "The Children of The Jaguar" the Panther being singled out as the Most sacred of that said Big Cat. 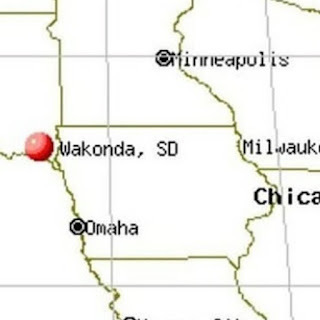 I'd like for the reader to note that in The Movie The Black Panther the Sacred City Wakonda/Wakanda was The lost city of Gold Here on this continent and Not in Today's Africa. 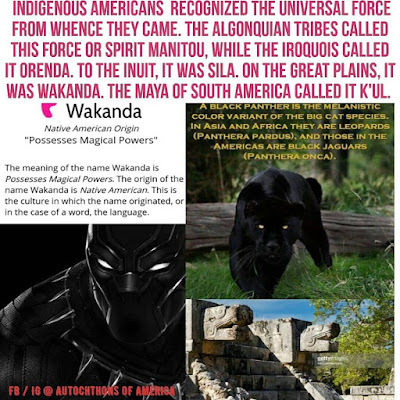 It was the intent of the creator of the comic book to follow the protocol of dissociating the so called black people truly indigenous to America with this land and have them believe that they came from Africa. 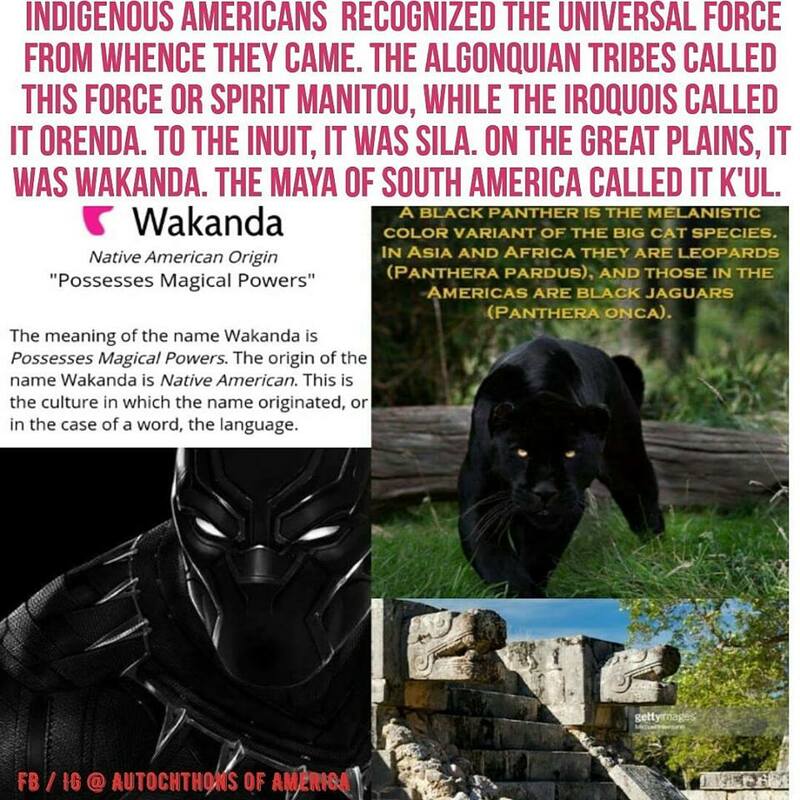 But it's written in the Blood so when the mentally enslaved blacks used the Black Cat /Panther as their symbol it was not by Happenstance but Destiny✊🏾 A reclamation of Power, Black power or Black Panther Power utilized by The Ancients. 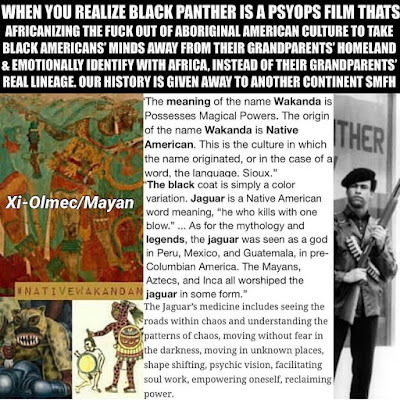 The movie Black Panther mirrors the condition of Moorish Americans, misnomered African American in many ways, including the physical and mental state of our communities, our vast potential, on a metaphysical level, symbolic level, and with many aspects hidden in plain sight that either point to our indigenous status or recent aspects of our history. The film was released on February 16th, one day after Black Panther Party founder Huey Newton's birthday, and aspects of the plot, such as the Oakland location which featured prominently in the film (and was not a part of the comic from my understanding) pay homage to the Black Panther Party. None of this was lost on me, nor was the fact that Stan Lee admits to using the dynamics between Malcolm X and Martin Luther King Jr. as his basis for Professor X and Magneto of the X-Men. Lee is not the only person paying attention to what is going on in our community though. I think we are a big deal in the grand scheme of things. 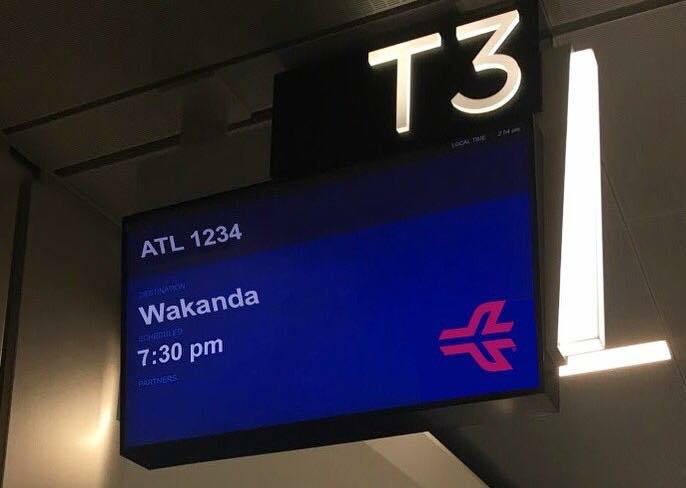 I'm biased in seeing things this way, as I come from the so-called African American community, but even when I step outside of my own perspective and look at things objectively, it still seems like this ethnic group is a pretty big deal, not just in the United States either, but also on the international front. I see things, such as thousands of racists and bigots taking to Twitter to release false stories of whites getting attacked at Black Panther screenings and trolls organizing to sabotage the film ratings on sites like Rotten Tomatoes as proof that a large percentage of people claiming to hate us are in fact obsessed with us. Whether we see how incredible we are or not, others do. Why were "black" communities attacked by lynch mobs, where entire towns showed up to kill innocent people and burned down their businesses and homes? These things happened during an era where segregation was the law in most of the country. The same whites that claimed to want to keep things "separate but equal" viewed us as a threat, and even when we were not paying them much attention, had their eyes on us constantly. The way I see it, we were a big deal then and we're still a big deal now. For some strange reason, our ethnic group has more social influence than anyone else on the face of the planet. 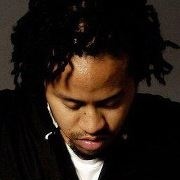 People all over the world think we are cool for various reasons and copy our style, and listen to us. Our destiny is to eventually step up and take our rightful place as the leaders of the planet. 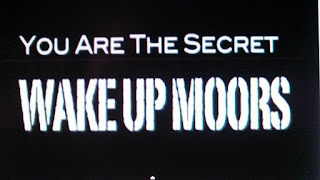 Most people do not see things in this light, and therefore, the masses need to see imagery like this well-made film to prepare their mind for what is taking place right now. They need to begin to see and accept the rise and ascension to power of our people. This is one of the reasons why this film was so necessary. Something that I took from the film, which I think has real world implications was the importance of unification. 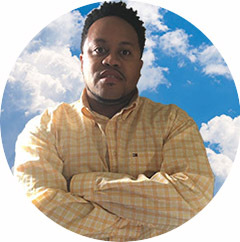 Within the so-called African American community there are various different ideologies and groups, some which believe that they have THE ANSWER to delivering our people out of our current status as second or third class citizens. 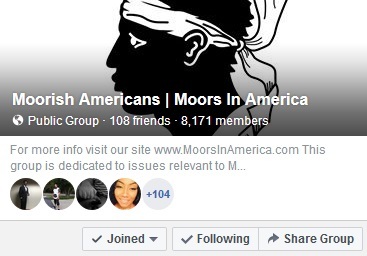 Even within the realm of the Moorish American doctrine there are several approaches and organized groups, some that are in opposition to each other. 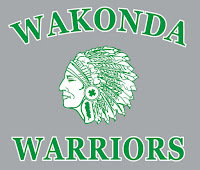 From one perspective, which I hope people that are caught up in their differences take from the film, the five tribes or clans that made up Wakanda in the film had to come together to actually form the nation and be successful. They did not all agree, but they understood that they needed to join as a nation for the greater good. 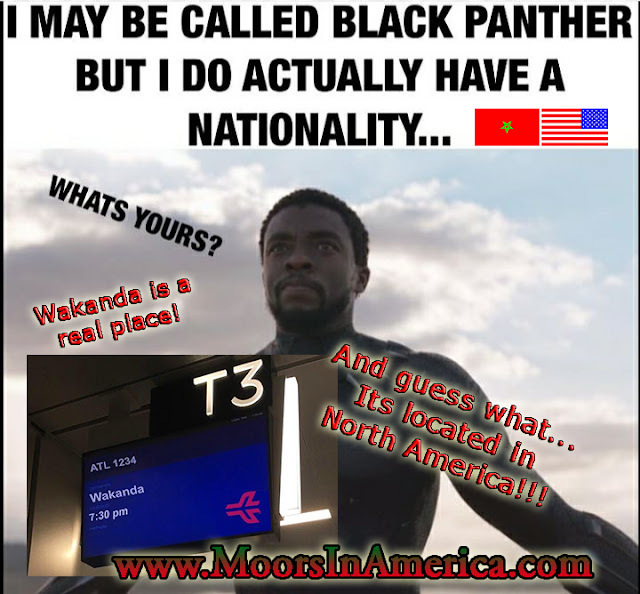 Right now is where I should make a push I guess for everyone to see the importance of having a common nationality and uniting regardless of ideological differences under the Moorish American banner.